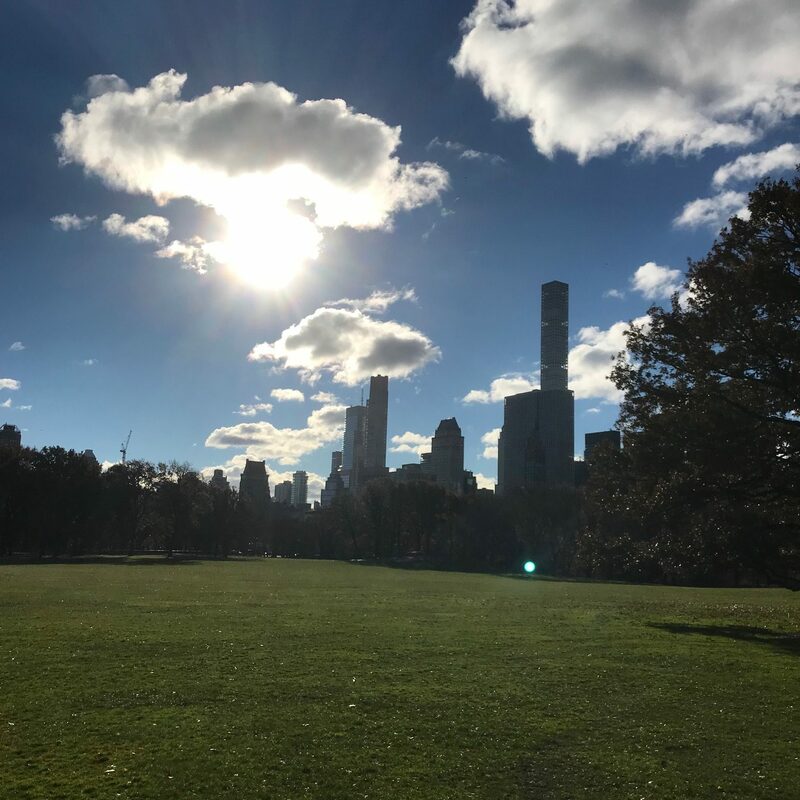 Saturday dawned sunny with only a slight chill so we headed to Central Park and encountered a minimum of 50 dogs off leash…Finnley was unfortunately tethered as the command, “Come here, Finnley” still does not resonate. We did a quick four miles and readied ourselves for a 9:30am spin class. All this was easy to achieve when you rise up at 3am from dreaded jet lag. 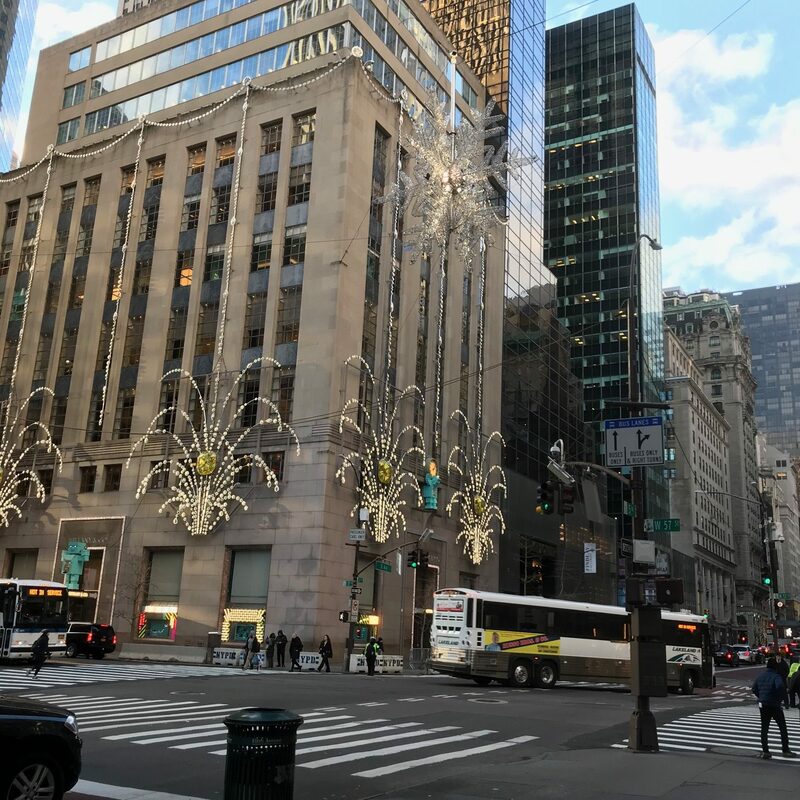 We headed home to take on Fifth Avenue holiday shopping which was a huge mistake. The stores were packed and the sidewalks impassable. 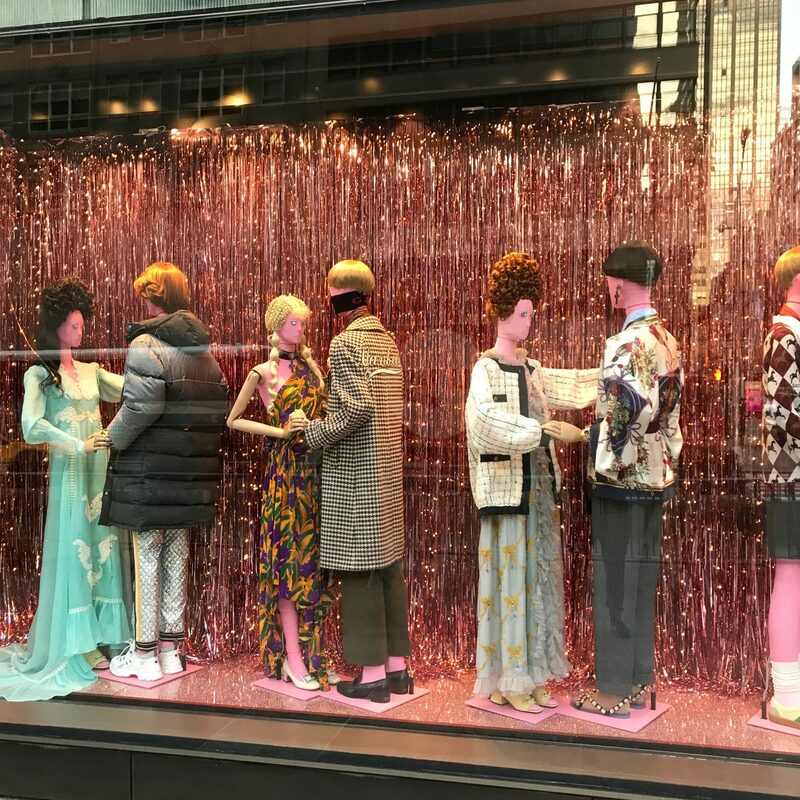 Gucci, Louis Vuitton and Chanel had waiting lines to enter and I would say that 50% of the people in line were looky-loo’s who where there to only admire the merchandise. 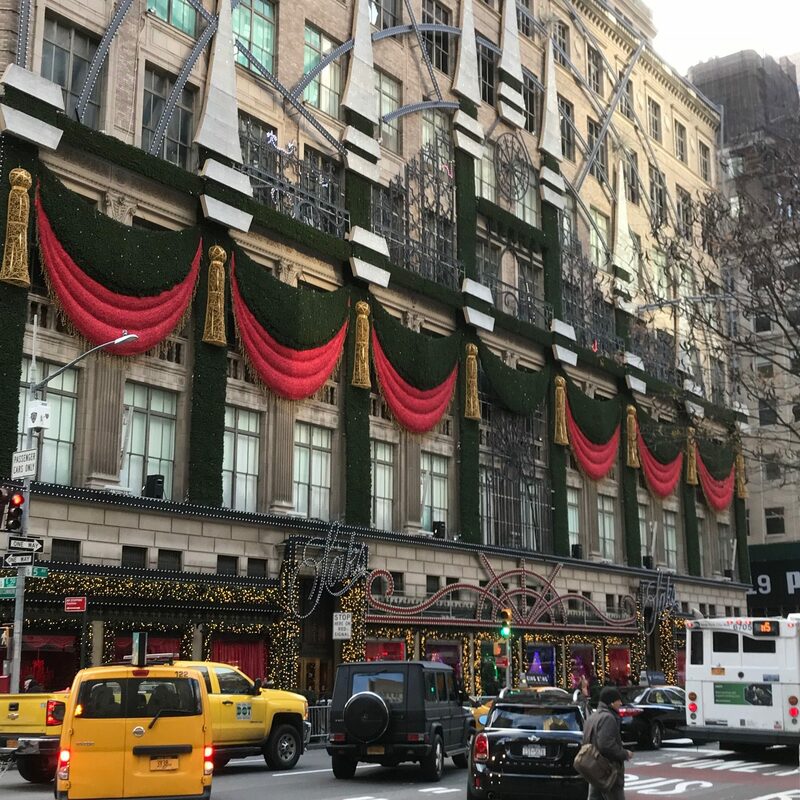 When the holiday light show began at Saks everyone stopped to gaze up. 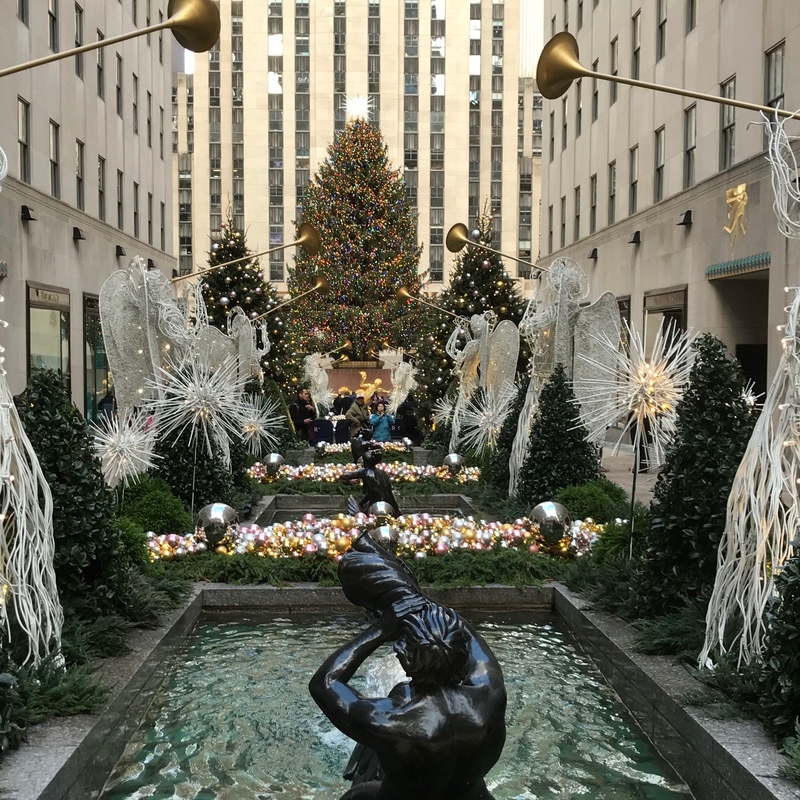 The police had cordoned off the sidewalk and street around Rockefeller Center. 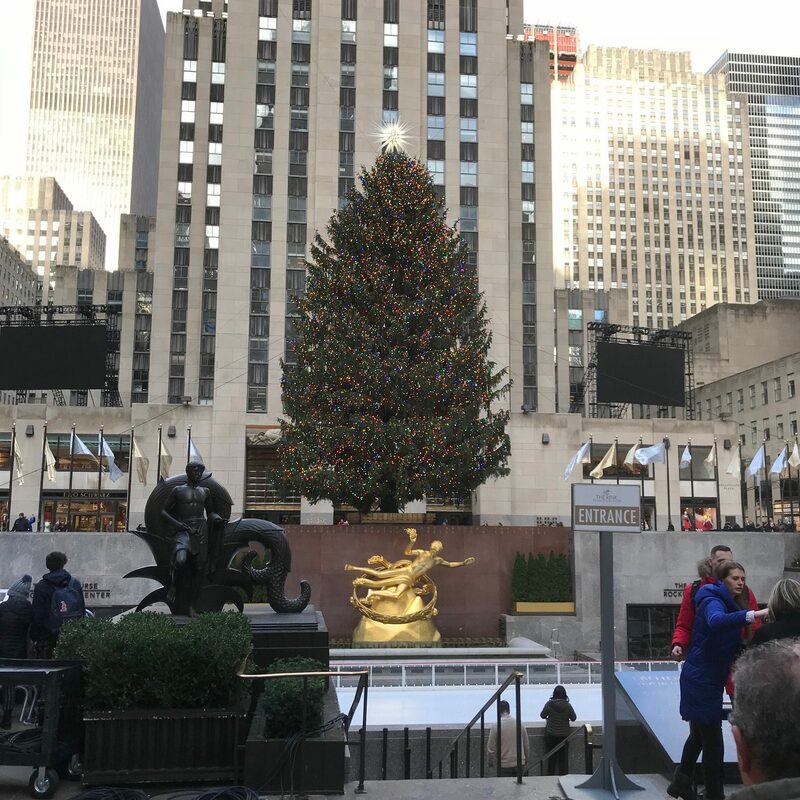 The tree projected an air of elegance and grandeur. 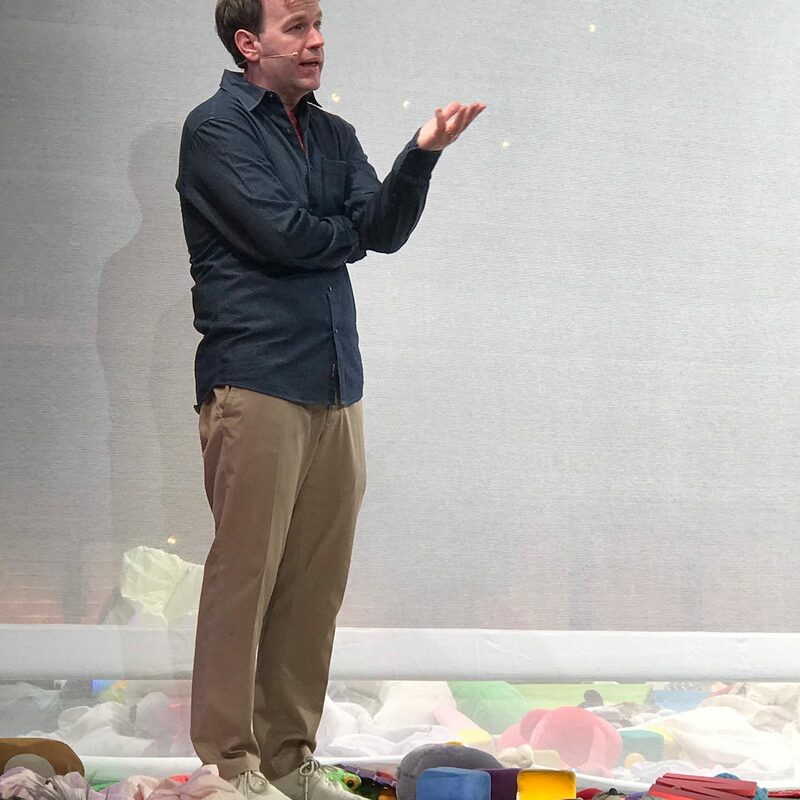 We had a quick lunch because we had tickets for a 3pm matinee of Mike Birbiglia’s one man show, The New One which is on Broadway. The stand-up comedian/monologist is a slightly doughy, funny man dressed in khakis and an unflattering casual shirt. Don’t be fooled…his humor is sharp as a tack, his observations right on point and entirely relatable. We laughed for the entire one hour and 25 minutes. We left and the city was even more crowded than earlier. The Bridge and Tunnel crowd had taken over Manhattan. We dodged humanity and head for the Park which was civilized as the sun set on a perfect Manhattan day. 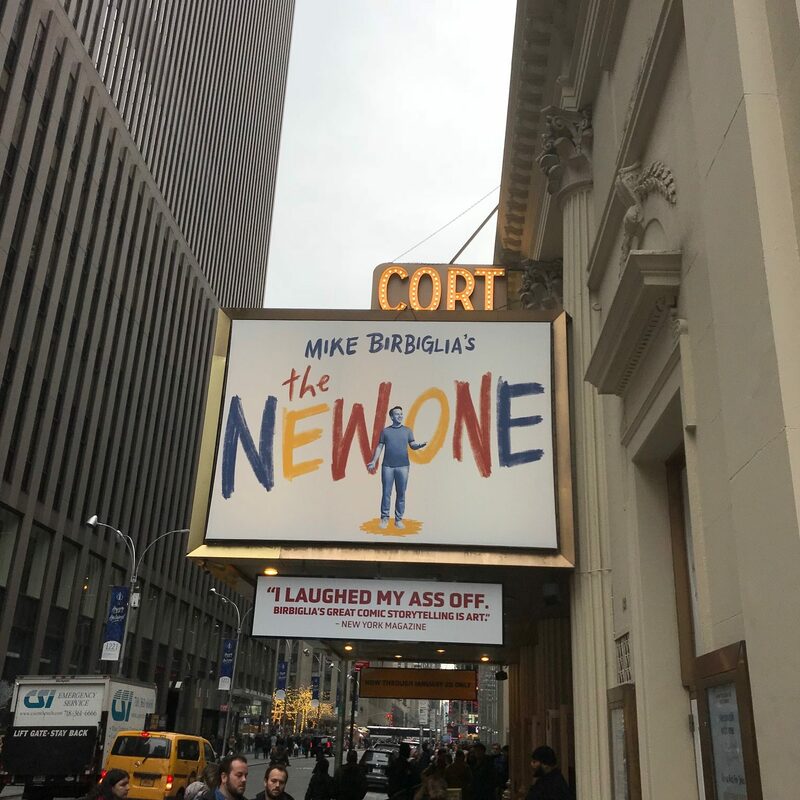 Mike Birbiglia’s The New One Cort Theatre 138 West 48th Street New York City. Half price tickets available at TKTS. Show runs through January 20th, 2019.